Matter VP Maria Brown will lead the location. BOULDER, CO: Matter Communications is opening an office in Boulder, Colorado, with VP Maria Brown relocating from the firm’s Newburyport, Massachusetts, headquarters to lead the operation. Scott Signore, Matter founder and CEO, chose to expand to Boulder because of its growing tech and startup culture, which stretches to surrounding areas, such as Denver and Fort Collins, he said. 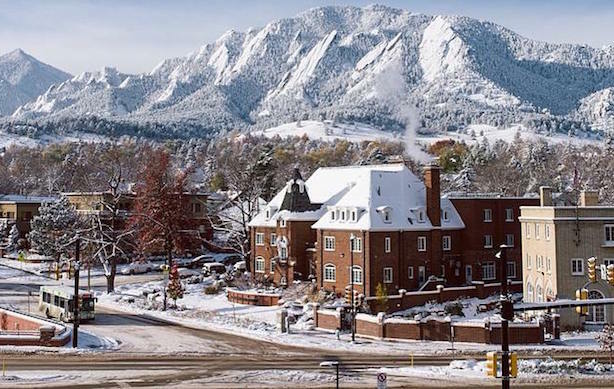 In a recent report, Boulder was listed as the number five best city in the US for tech jobs. Matter’s clients in the region include JumpCloud and MobileDay. The firm also works with Urban Airship, which is based in Portland, Oregon, but has a major VC backer, Foundry Group, located in Boulder, said Signore. "Our business connections are deep and real and there’s opportunity in terms of what’s happening in the greater Boulder area in technology among both established companies that are moving into the region and have satellite offices of their own or VC-backed, early stage companies," explained Signore. He added that Brown has experience leading startup accounts, as well as high energy and focus on content. A "handful" of Matter staffers will move with her to support the operation, he said. Matter expects to open the office in the coming weeks, and Signore said the firm is looking to grow and recruit staffers. Even though marijuana has been legalized in Colorado and weed-related businesses are booming in the state, Signore said the firm is not targeting the cannabis category yet. While Matter is not against getting into that space, he explained that the marijuana industry was not a driving force for the Boulder office decision. Next week, the Colorado city will hold its annual, five-day Boulder Startup Week event, which is free and focuses on the community’s dedication to tech startups and entrepreneurism. Signore will hold a discussion with attendees on May 11 about how to grow a successful company. Two months ago, Matter acquired search marketing firm Search Maven Media.